In the Fife village of Elie, Captain John Rintoul and other family members plan to use their sloop to pick up goods from Anster (Anstruther), and then voyage to the Baltic. 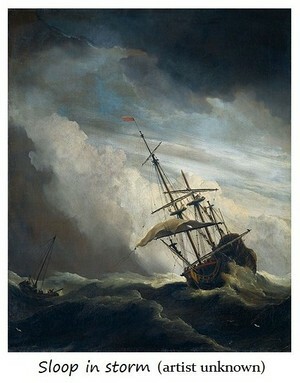 John's last-minute decision to meet them in Anster, rather than sail around the point with them, saves his life. This early novella tells how family members cope in the aftermath, and how further news eventually reaches them about the wreck.